A born teacher, Prof. B. M. Hegde started teaching in a medical school almost from his 23rd year and still does that when he gets a break. He has a brilliant scholastic record. Starting as a tutor he rose to be the Vice Chancellor of Manipal University. He trained in some of the best institutions in India, the UK, and the USA under great legendary teachers whose flair must have rubbed on him too. He was one of the rare Indians appointed a regular Visiting Prof of Cardiology at The Middlesex Hospital Medical School, University of London way back in 1982. He was also the first Indian teacher to be invited to examine at the Royal College’s final examinations since 1988 both in the UK and laterally in Ireland. He has been a revolutionary researcher of the refutative variety (lateral thinker) published in the UK, USA, Germany, Kuwait, China, in addition to India. His public lectures and scientific talks are a craze with the audiences both scientific and lay. His 35 books are mostly out of print. His lay articles, running into thousands, both in Kannada and English, have become household names. One of India’s highest civilian awards, Padma Bhushan, was awarded to him in 2010. 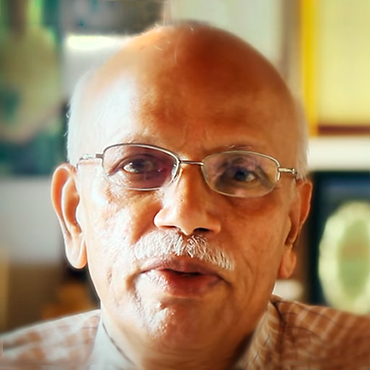 Dr. BC Roy National Award in the category of Eminent Medical teacher, the highest medical award in India, Dr. JC Bose award for research in life sciences, Distinguished Physician of India award, Best teacher, best researcher, best orator awards many times over, Karnataka Rajyothsava award, Vaidya Ratnakara award from Shankaracharya, twelve Gold Medal Orations and 88 other named orations are but a few awards that adorn his mantelpiece.